It should go without saying that your engagement ring is a very important possession to you. Whether it is a ring made from the purest platinum and adorned with the largest diamond possible or a less decorative style, such as tungsten engagement rings in a plain black finish, your engagement ring is the symbol of your commitment with your partner, and the symbol for you and your partner’s upcoming nuptials. It only makes sense that you would want to keep it looking shiny and new as long as possible, and, to that end, it is important to know the best way to care for your ring. There is a right way and there is a wrong way to go about it and, without careful attention to what you’re doing, it’s possible to end up damaging your ring and making it look worse than it did when you started, or much older and worn than it otherwise is. We will go over some common engagement and wedding ring materials and let you know the best way to keep them looking their best, year after year. Tungsten carbide wedding rings may not break the bank, and they may be made out of a super durable and extremely tough material, but that doesn’t mean you can just neglect them. Even worse than a dirty ring, however, is a ring that’s been damaged by your own hands, due to improper care. That is why it is of critical importance to make sure that you are following the proper procedures and practices for cleaning your jewelry. Simply follow our advice and recommendations, and your matrimonial jewelry will sparkle and shine the same way it did as on the day you first got it to celebrate your commitment, for anniversaries and other relationship milestones to come. The best course of action for cleaning your ring is determining exactly what kind of grime is currently obscuring the luster and finish of your ring. If you’re an avid home or professional chef or you’re frequently using your hands in the outdoors, then a layer of compacted dirt, grease, or grime could be the culprit in dulling your ring. If that is the case, then handing your engagement ring off to a professional might be the best idea. Someone who practices jewelry cleaning as a trade will have the knowledge, experience, and access to professional-grade cleaning products and methods that will clean your jewelry and restore the finish, without risking any harm to the metal or the stones. 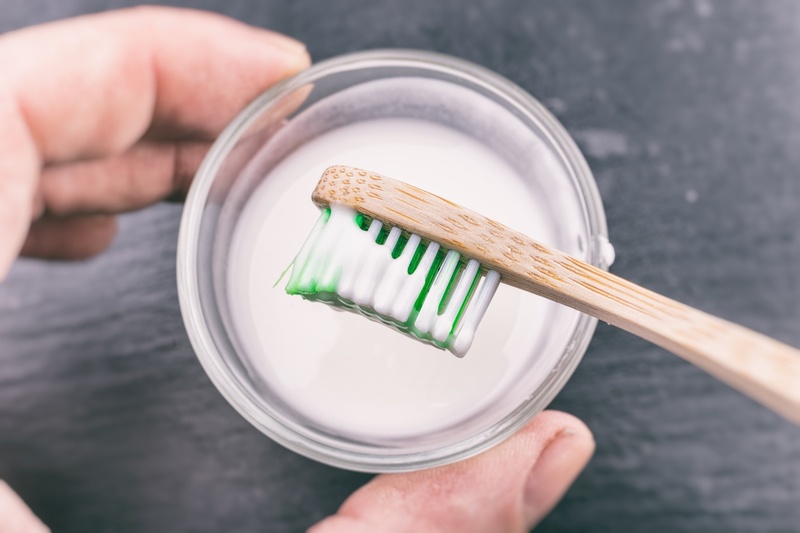 If your dulling problem is stemming from more run of the mill, milder contaminants or you are looking to do a preventative cleaning before any real problem develops, then you can certainly take care of that at home. Simply make a solution of very warm, nearly hot, water and a mild dish soap, and soak your ring for about a half hour. Then, with a very soft bristled toothbrush, gently scrub at the surface of your ring and the stone or stones. Rinse it under warm, running water, making sure to stop the drain first in case you lose your grip. Repeat this process as needed. Depending on the material of your ring, however, this level of caution may be unnecessary. While the precious metals of silver, gold in its various jewelry forms, and platinum are quite soft and malleable, more and more engagement and wedding rings are being made of alternative metals that can offer much more durability and hard-wearing properties, while still maintaining attractive, luxurious finishes. 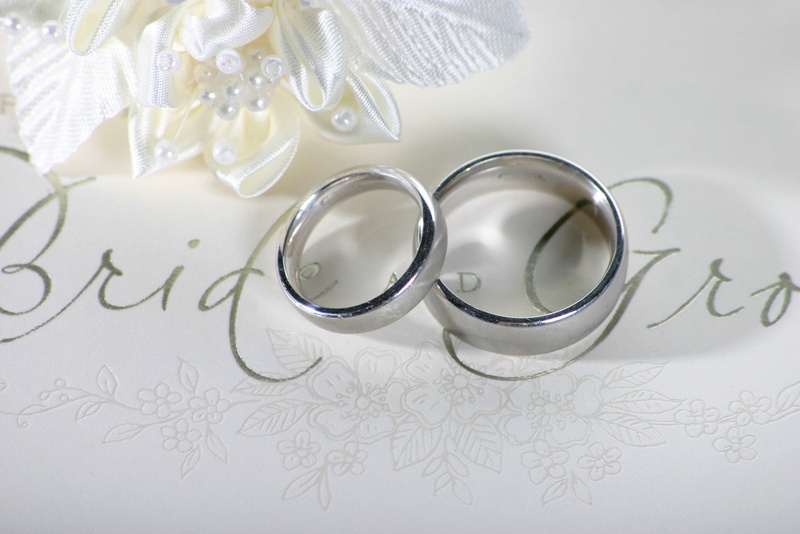 Tungsten men’s wedding rings have become incredibly popular, as of late, for a number of reasons that make them clearly superior to precious metals. Tungsten carbide is an alloy metal made of equal atoms of the elements tungsten and carbon. The resulting material is extremely dense and durable, with a hardness rating at the top end of the Mohs scale. The prodigious hardness of tungsten carbide means that most other materials on the planet can’t touch it. In fact, only diamonds, or a material just as hard as them, can leave a scratch in a tungsten carbide ring. Since diamonds are the hardest naturally occurring material on the planet, that’s a tall order, to be sure. Cleaning a tungsten carbide ring is a much simpler affair, and it is one that can be done at home, no matter what the grime level and culprit substance. Simply soak the ring in soapy water and go after it with whatever brush you want. Not even steel wool will scratch the surface of a tungsten carbide ring. 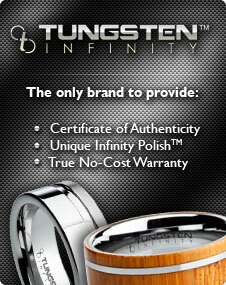 Engraving on tungsten carbide rings is done with a laser that changes the surface of the ring. This keeps it cleaner than a traditional engraving, which removes metal to leave an impression behind. That impression can fill with dirt or grime and be a hassle to properly clean. One easy way to avoid your ring getting dirty is to take it off when you’re going to be doing dirty things with your hands. It sounds like a simple idea, but the genius of it is really unbeatable. You will never have to worry about your ring being dirty or the best way to clean and polish it if it never becomes dirty in the first place. With that in mind, there are still a few rules and guidelines you should observe, where your ring is concerned, especially if you’re considering removing it. Activities where you will want to take your ring off instead of continuing to wear itaren’t just limited to obvious ones. Sure, it is a no-brainer that you shouldn’t wear your ring while gardening, deep-fat-frying food, or changing the engine oil in your car. You should also take your ring off when swimming. The last thing you’d want to have happen is for your ring to get wet and slip off. Cold water will make your finger shrink slightly, and losing your ring in a lake or the ocean would make it virtually unrecoverable. That doesn’t mean it is okay to wear your ring in the pool, either. The chlorine used to treat pool water can tarnish or otherwise damage your ring. Another time where it is important to take off your ring is while working out or participating in a sport. If your ring is made of a precious metal—silver, gold, or platinum—the softness of the metal means that it could easily become deformed or scratched by a piece of exercise equipment. A tungsten carbide ring is, of course, all but impervious to scratches, but the extreme hardness of the metal means that a sharp impact could crack it, leaving you with a ring broken in two pieces because of a dropped weight. 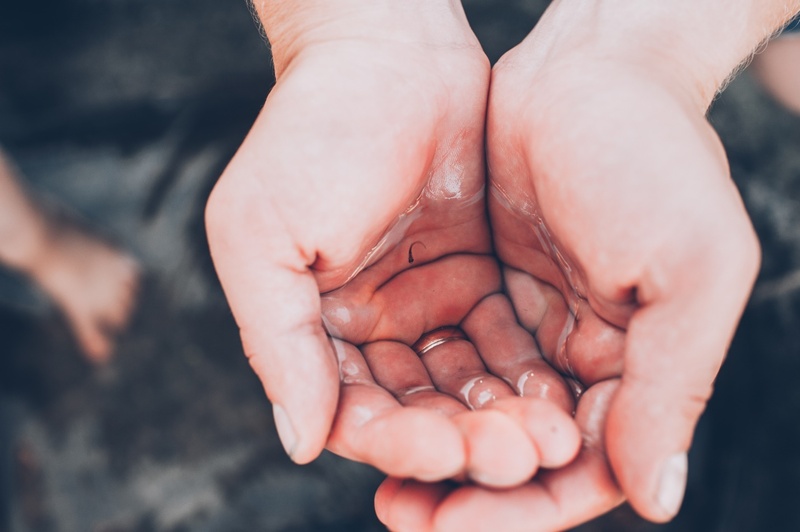 Another important thing to consider is that exercise causes your fingers to swell, and that could leave your ring tightly constricting your finger and necessitate a trip to the emergency room, in the worst case. Best to just remove it and sidestep any problems altogether. Your ring definitely should not be worn while cleaning, also. The sometimes harsh chemicals commonly used in cleaning, along with the exposure to many different types of dirt, grease, grime, and other residues, mean a disaster waiting to happen for the surface and the finish of your ring. Take it off before you start and save yourself some added cleaning at the end. The best place to store your ring when you aren’t wearing it is in a secure jewelry box. Keeping it in your pocket can end up damaging it, as well, especially if it’s sharing space with your keys or some coins.